Position opening: September 2016 or by circumstance, sooner. 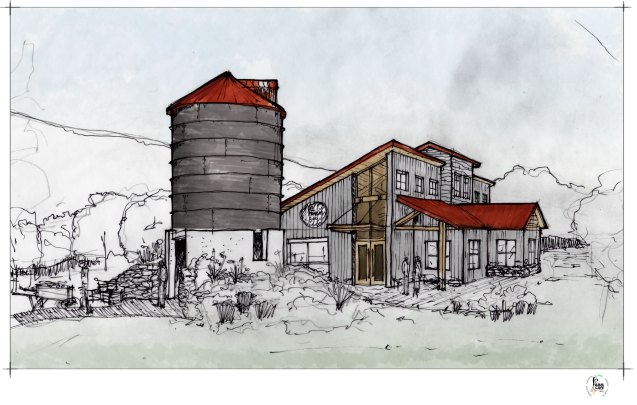 We are creating a “world class” working farm restaurant with that same philosophy to celebrate small farm heritage and strengthen community connections in our local food system. Already proprietors of a fine-dining restaurant with a 30 year success story, Monica and Duke Gastiger have partnered with a long-time friend and farm owner and an extraordinary planning and construction team to create an “intersection of food and green”. 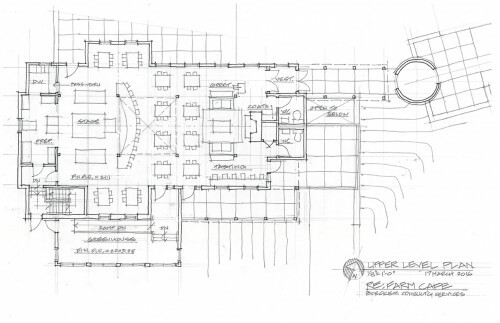 Currently under construction, the 58-seat seasonal RE Farm Café is the focal point of a 35 acre agricultural restorative project just 15 minutes from downtown State College and Penn State University in central Pennsylvania’s beautiful Nittany Valley. With 8000 fruit trees, a cidery, 7 greenhouses, 20 acres of field crops, planned herds of meat animals the project will be a study in integrative agriculture for traditional farm diversity. Already registered as a Living Building Challenge project, design and programming leads us beyond sustainability, with building imperatives that include net zero energy and water. Our cooks will work in the organic greenhouses and fields for a more complete understanding of the farm-to-plate relationship, “perform” in an open theater kitchen and also be service guides for our patrons throughout the evening meal. RE Farm Café will also serve as a “sustainability lab” for all age learners with cooking classes and interpretive and tours of the farm, forest and infrastructure. To be successful, our “frontier” chef must have an absolute commitment to a small team work ethic, be genuinely warm and hospitable, have an energetic and deep interest in local, organic and well-crafted foods for a healthier community, have sincere respect for ingredients from start to finish, and be able to provide consistent excellence and “unexpected” creativity in service and product. A culinary degree from an accredited school. 7 years experience in full-service restaurants. 3 years supervision experience as Chef or Sous Chef. Technical expertise and communication skills to be both teacher and practitioner. Understanding of local food systems and sustainable food practices including all-induction cooking, preserving and composting. NO fear of getting one’s hands dirty. A salary commensurate with work experience and skill level. Group medical and retirement plans. An opportunity to be at the helm of an exciting experiment in small farm income diversity and an industry leading restaurant building and operation. A work environment that is satisfying and rich in personal and professional information exchanges with workers, peers and the community. A one page statement of your belief system in sustainability, local food systems and the “farm-to-fork” movement. A one paragraph bio briefly entailing level of formal education and work experience. A one line quote that you penned explaining your penchant for pleasing people. RE Farm Cafe is at RE Farm Cafe. © 2016 RE-Farm. All Rights Reserved. | Site designed and maintained by 3twenty9 Design, LLC.